The mission of FPE is to provide leadership in evolving and growing the ergonomics profession; bridge gaps between research, education and practice; and promote professionalism in ergonomics practice; all for the benefit of the public. Establish scholarships for deserving students. Continue with the Dieter W. Jahns Student Practitioner Award for graduate students (M.S. or Ph.D.) in Ergonomics and Ergonomics-related programs. Develop courses on professional issues and technical topics. FPE, in conjunction with the BCPE and the Human Factors and Ergonomics Society (HFES), will contact and collaborate with the established leaders of ergonomics and related professions to develop quality content and provide professional delivery. Continue collaboration with Ergonomists Without Borders to provide ergonomics expertise and resources to agriculturally and industrially developing communities, globally. Leadership in evolving the profession – providing professionals, students, and non-ergonomists with a practical, easy to understand description with examples of what it means to be an ergonomics professional. Leadership in growing the profession – developing guidelines and templates for mentoring students/interns in both research based and practice oriented companies; provide information on-line for others to use with interns from local colleges. Bridge gaps between research and practice – promoting and awarding annual ergonomics scholarships emphasizing the importance of ergonomics and how specific project results are used to demonstrate the importance and benefits of ergonomics. Bridge gaps between education and practice – developing and promoting ergonomics webinars, one-hour training blocks on the major elements of ergonomics: Analysis, Design, and Test & Evaluation. Promote professionalism in ergonomics practice – working and coordinating with Engineers without Borders on a joint project that demonstrates the importance of ergonomics in engineering; provide photos and narratives on the experience via FPE web site. Tom Albin PhD is a licensed professional engineer (PE) and a certified professional ergonomist (CPE). He holds a PhD from the Technical University of Delft in the Netherlands. Tom divides his professional life between the Office Ergonomics Research Committee (www.oerc.org), where he is the Executive Director, and his consulting practice, High Plains Engineering Services. He has extensive experience as a researcher, corporate ergonomist, and product developer. In addition, he has been active in the US and International Standards community. He is accredited as a US expert to several International Standards Organization working groups and is Vice-Chair of the ISO committee revising the standards for input devices and workstation layout/postures. He chaired the committee that revised and published the American National Standard ANSI/HFES 100-2007 Human Factors Engineering of Computer Workstations and currently co-chairs the committee working on a new revision of that standard. Dr. Cochran has a masters and a PhD in Industrial Engineering with an emphasis on Ergonomics from the University of Oklahoma. 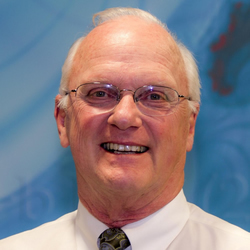 He is an Emeritus Professor of Industrial Engineering at the University of Nebraska-Lincoln, is a registered Professional Engineer, and is a Certified Professional Ergonomist. 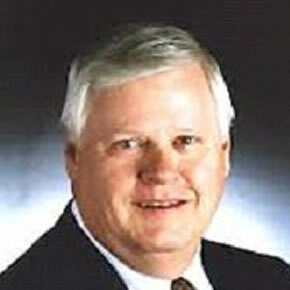 Dr. Cochran served on the founding Board of Certification in Professional Ergonomics and served an extended assignment with the Occupational Safety and Health Administration (OSHA) in Washington D.C. where he was special assistant for ergonomics and functioned as the leader of the team developing the Ergonomics Program Standard — promulgated November 14, 2000 and rescinded in 2001. At this time he is on the board of the Foundation for Professional Ergonomics. 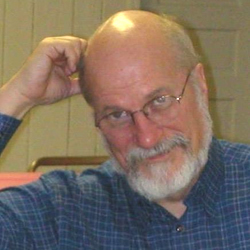 Dr. Cochran is retired from teaching and research at the University of Nebraska-Lincoln. His current research concerns cumulative traumas to the hand that result from using it as a striking device and the characterization of the dampening characteristics of human tissue. H. Harvey Cohen received his Ph.D. in Human Factors/Ergonomics from North Carolina State University in 1972 while awarded a doctoral research fellowship with NASA at the Langley Research Center in Hampton, VA. Dr. Cohen later became a senior research scientist with the newly formed, under act of Congress, National Institute for Occupational Safety and Health (NIOSH) in Cincinnati, Ohio prior to forming his own human factors and safety research and consulting firms in 1977, including his current firm, Error Analysis, Inc. which he founded in 1988. Dr. Cohen is board certified in both human factors and safety, and is a fellow of the Human Factors and Ergonomics Society in the U.S. as well as the Institute of Ergonomics and Human Factors in the United Kingdom. 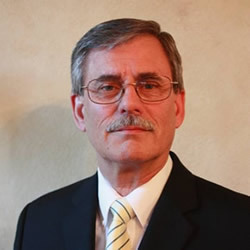 He is a founding officer of the Board of Certification in Professional Ergonomics (BCPE) and is an appointed expert or professional member of several ASTM, ANSI and ISO safety and ergonomics standards committees. He has also held several appointments as Adjunct Professor in graduate schools including the University of Southern California and San Diego State University. 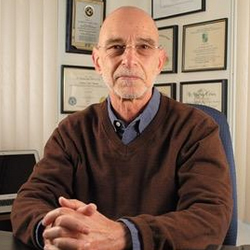 Dr. Cohen has written over 150 peer-reviewed scientific publications in the human factors and safety fields as well as 5 books and dozens of book chapters and is frequently called upon to provide forensic consulting and expert witness services in litigated cases typically involving premises or products liability, warnings or other hazard communications as well as motor vehicle collisions that frequently involve pedestrians and commercial or recreational motor vehicles. During his 40 + year career, Dr. Cohen has investigated over 7500 serious injury or property damage incidents, and has been retained and has testified in courts in virtually all 50 states, 4 U.S. territories and 3 Canadian provinces. Sheree L. Gibson is President of Ergonomics Applications, an industrial ergonomics consulting firm in South Carolina. Ms. Gibson earned a Bachelor of Science degree in Mechanical Engineering and a Master of Science in Engineering in Applied Ergonomics, both from West Virginia University. A professional engineer and certified professional ergonomist, Ms. Gibson has spent the last thirty-five years working in various positions in engineering and industrial ergonomics. She is active in several professional societies including the Foundation for Professional Ergonomics, the American Industrial Hygiene Association, the American Society of Safety Engineers, and the Human Factors and Ergonomics Society. She is a past chair on the Ergonomics Committee of the American Industrial Hygiene Association. She is also a past president of the South Carolina Chapter of the National Safety Council. Ms. Gibson has testified twice before the Occupational Safety and Health Administration (OSHA) on behalf of the American Industrial Hygiene Association regarding a federal ergonomics standard. Karel received a Bachelor of Science degree in Biology, with a minor in German from University of New Mexico in Albuquerque and later returned to college for an Applied Associate of Science degree in Medical Assisting. She worked in a dermatology office for 18 years as a Clinical Medical Assistant and kept her certification credential, the CMA-C (AAMA), in medical assisting current since that time. Karel became an advocate for ergonomics/human factors through her late spouse, Dieter Jahns, MS, CPE. 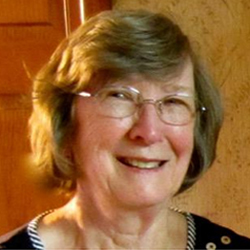 She was administratively supportive of Dieter’s work as a consultant in the field and later his efforts along with many other E/HF professionals in the establishment of the Board of Certification in Professional Ergonomics (BCPE). Karel worked in the administrative/clerical sidelines from BCPE’s inception and later was employed as BCPE’s Financial/Information Systems Manager until retiring in 2012. 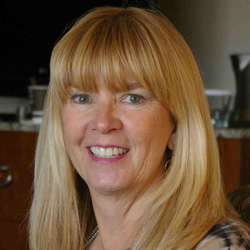 She is one of the founding directors of The Foundation for Professional Ergonomics. Waldemar Karwowski is Pegasus Professor and Chairman of the Department of Industrial Engineering and Management Systems at the University of Central Florida, USA. He is also Executive Director, Institute for Advanced Systems Engineering, University of Central Florida, Orlando, Florida. He holds an M.S. (1978) in Production Engineering and Management from the Technical University of Wroclaw, Poland, and a Ph.D. (1982) in Industrial Engineering from Texas Tech University, USA. He was awarded D.Sc. (dr habil.) degree in management science by the State Institute for Organization and Management in Industry, Poland (2004). He also received Honorary Doctorate degrees from three European universities. He is past President of the Human Factors and Ergonomics Society (2007), and Past President of the International Ergonomics Association (2000-2003).Dr. Karwowski served on the Committee on Human Systems Integration, National Research Council, the National Academies, USA (2007–2011). 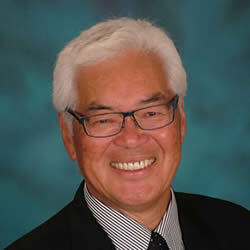 He is a Co-Editor-in-Chief of Theoretical Issues in Ergonomics Science journal. He is an author or editor of over 400 scientific publications in the areas of human systems integration, cognitive engineering, activity theory, systems engineering, human-computer interaction, fuzzy logic and neuro-fuzzy modeling, applications of nonlinear dynamics to human performance, and neuroergonomics. Richard Kelly is Principal Scientist and Co-Founder of Pacific Science & Engineering Group, Inc., a human factors firm headquartered in San Diego. He earned a PhD in Engineering Psychology from New Mexico State University. He then worked as an engineering research psychologist for the US Army and for the US Navy. He has been involved in human performance research, human factors engineering, and technical management for over 40 years. His research and development activities have been recognized within the medical device, military, training, and system engineering communities. Dr. Kelly has served as principal investigator on many substantial human factors projects. In these, he has been responsible for all aspects of problem oriented research and development on diverse scientific and military issues. For over 35 years, he has supervised and directed the activities of groups of research scientists, engineers, and support staff. 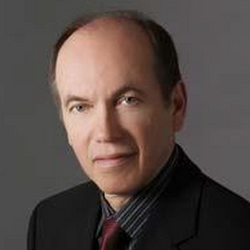 Dr. Kelly has authored many technical papers, book chapters, and reports. Most of these publications are in the areas of human information and decision-making processes, team collaboration and information transfer, system design, and advanced human-computer interface technologies. He has participated in many professional conferences, colloquia, and international panels. Dr. Kelly has provided human factors services as an expert witness, and he has taught several university courses and industrial seminars. Dr. Kelly has served as a peer reviewer and has refereed manuscripts for several journals, professional conferences, and government agencies. He is a Certified Professional Ergonomist and a member of the Human Factors and Ergonomics Society and the American Psychological Association, Division 21: Applied Experimental and Engineering Psychology. Steve Merriman received a Master of Arts degree in Psychology from The American University and is a graduate of the Defense Systems Management College Program Management course. He has 50 years of experience as a practitioner of human factors engineering (HFE), crew station integration, user interface design, training system design, and human systems integration (HSI). Steve has supported NASA on the Space Shuttle program, US Army on manned ground combat vehicles and unmanned air and ground vehicles, and the US Navy/USMC on 50+ military aircraft. From 1987 through 2015, he served in a variety of technical leadership positions with The Boeing Company, in St. Louis, MO and Dallas, TX. From 1967 until 1987, he held several systems acquisition and R&D positions with the Naval Air Systems Command, Naval Air Development Center, DOD Training and Performance Data Center and the Office of the Secretary of Defense. Steve is an active member of several technical societies and government-industry associations, including the DoD HFE TAG, SAE International, NDIA, SAFE, AAP, HFES, FPE, USNAEPS, and AsMA. He is a Human Factors and Ergonomics Society Fellow, Aerospace Medical Association Associate Fellow and a Boeing Associate Technical Fellow (retired). He is also a current member of the US Air Force Scientific Advisory Board (FY15-18) and serves on National Academies of Sciences panels. Robert J. Smillie is a retired senior expert consultant to the Space and Naval Warfare Systems Command (SPAWAR) Office of the Chief Engineer. Shortly, after receiving his Ph.D. in human factors/psychology from North Carolina State University in 1977, Dr. Smillie went to work for the U.S. Navy in San Diego and worked there for over 30 years. He is a Certified Professional Ergonomist, Fellow of the Chartered Institute of Ergonomics and Human Factors, and a member of the Human Factors and Ergonomics Society. 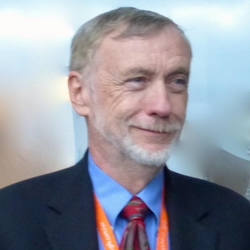 Dr. Smillie has been responsible for research efforts in visualization of information, innovative interfaces to access information, assessment and application of collaborative technologies to command and control planning, design and development of a computerized aid for satellite communications, test and evaluation of a computerized, portable delivery device for aircraft maintenance information, and workload analysis and assessment of various Navy systems. In 1992, he took a long-term assignment in Washington, DC area where he served as an Assistant Director of the Defense Modeling and Simulation Office, planning, designing, and managing comprehensive research programs in modeling and simulation technologies. 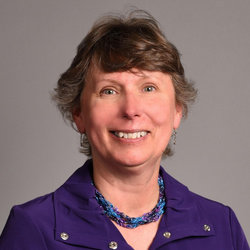 Dr. Smillie has authored over 50 technical reports and publications including one book and two book chapters on information design and performance aids. James Smith has been on the faculty at Texas Tech University for the past 38 years. He has served as IE department Chair (9 years), Associate Dean (4 years), and Interim Dean of Engineering (2 years). He has been elected as a Fellow of: the Human Factors and Ergonomics Society, the Institute for Ergonomics and Human Factors, the Institute of Industrial & Systems Engineers, and the Society for Design & Process Science. Dr. Smith has served as national President of Alpha Pi Mu, the Industrial Engineering Honor Society and currently serves on the Executive Council of APM. He is a Director Emeritus for the Board of Certification in Professional Ergonomics, and currently serves on the Board of Directors of the Texas Space Grant Consortium and the Foundation for Professional Ergonomics. Dr. Smith has published over 80 papers, a textbook, Occupational Ergonomics: Principles and Applications, and 2 book chapters. 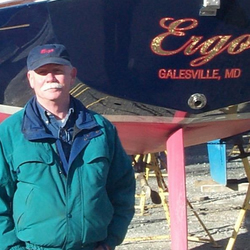 Dr.Smith currently teaches ergonomics courses at both the undergraduate and graduate levels.